I’m admittedly bitter about some things that happened lately, but I will choose to focus on the bright side. I got the second BDJ Elite Box to make myself feel better about things, and I have to say that it did cheer me up! I received this over the weekend and I eagerly took pictures for the unboxing. The first thing I noticed is that there is no box. Yes, you heard that right. This Elite Box does not actually come with the big elite box that I got for the first one. It came in with a cardboard sleeve, and a humongous black pouch! The pouch is bigger than I expected, and a lot more glam too! Here are the products included in this Elite Box (they all fit into the pouch!). As usual it came with the set of cute cards that discuss each product, and included the size of the product included, and the price of the full-sized product (note: the product included is not necessarily all full sized as I’ll show you below). As there does not seem to have an order specified in the curation cards, I’ll do another Tellie and present them in the order of my preference. I definitely bought this set mainly for this product. 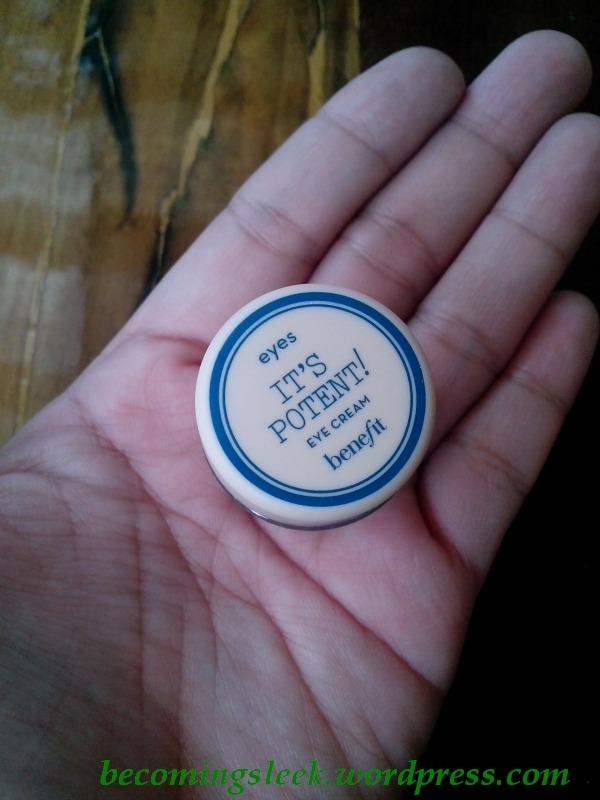 I was a little sad that it was not full sized, but was only a teeny tiny 0.1oz sample. It’s great that I will be able to try this out as I’m still on the search for my HG eye cream and this is actually in my short list of eye creams to try. 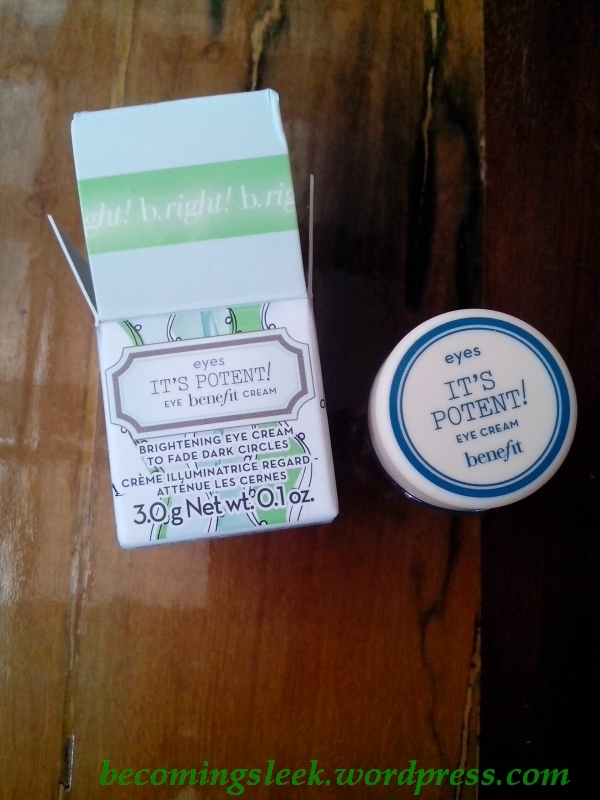 The full sized product is 0.5oz, and costs Php1800, so this sample should cost Php360. Benefit is largely cruelty-free. Update: Benefit does not test finished products on animals, but they do not guarantee the same for ingredients or chemicals. Thanks Carina for the info! 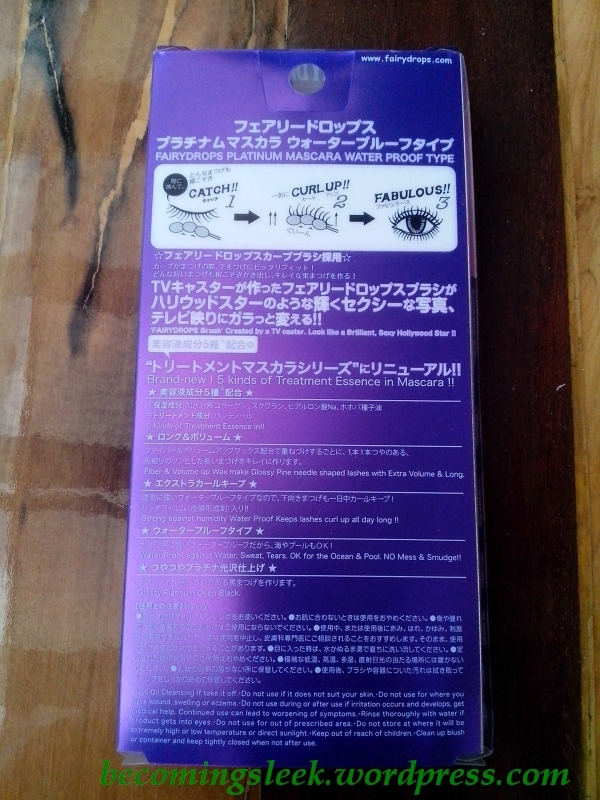 I’ve been reading raves about this mascara, primarily from Liz of Project Vanity, and I’ve always wanted to try it out. 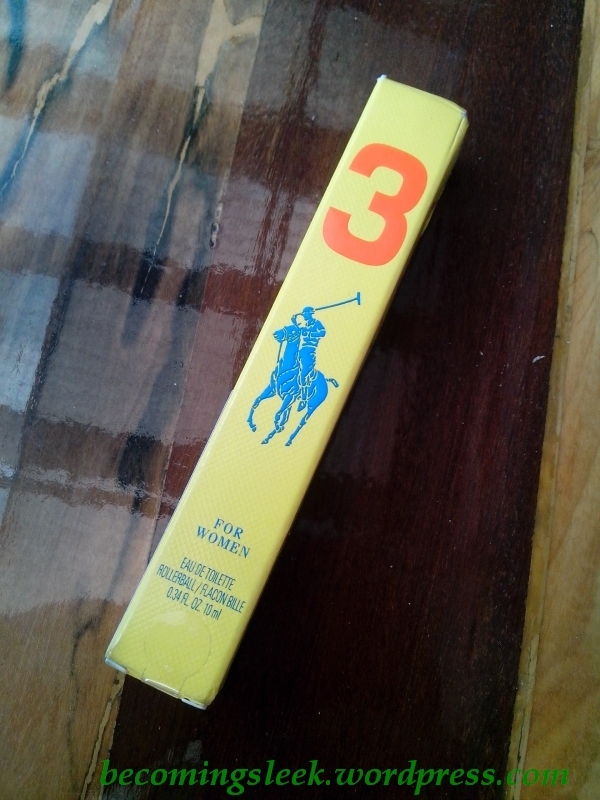 The price is a little steep at Php1195 for a tube of mascara so I’ve never gotten the nerve to buy one. Since it’s included in this Elite Box this is also a big reason why I purchased the box. I don’t have information on Fairydrops’ stance on animal testing. Update: Fairydrops is most probably a cruelty-free company as they are carried by Beauty Bar and BB’s brands are mostly CF. 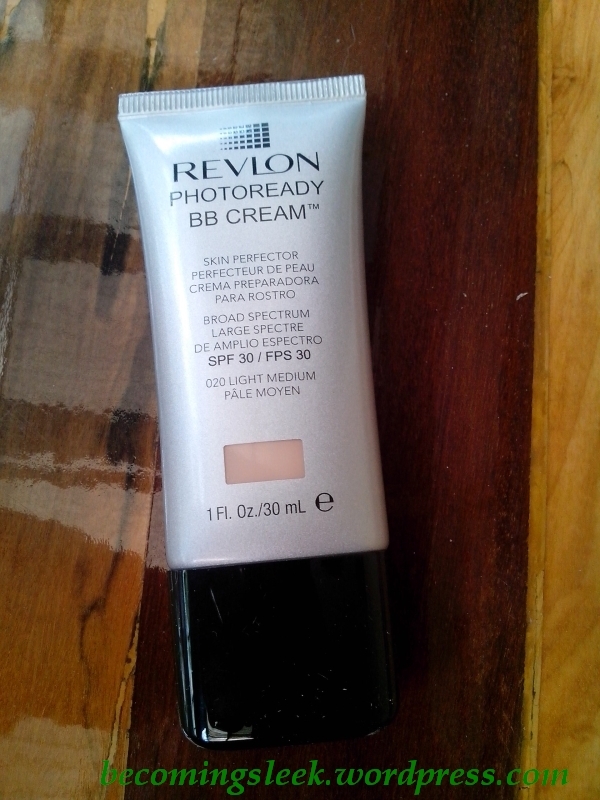 I’m a big fan of Revlon, and have been wanting to try their BB creams for some time. Unfortunately they are not entirely a cruelty-free company so I’ve decided not to buy from them. However I will not turn my nose up when it is included in the Elite Box. I got the shade 020 Light Medium and I hope this is a good match for my skin tone. This is a full sized tube, 30ml, and costs Php725. 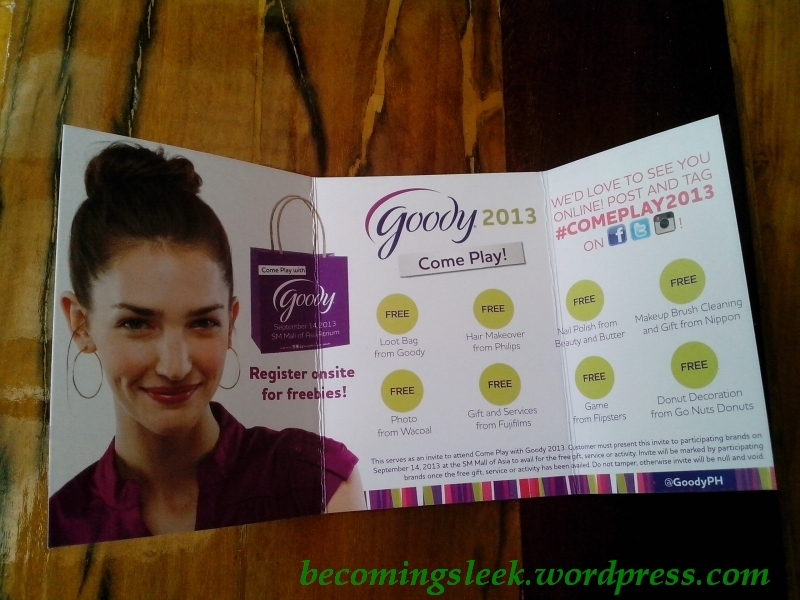 Goody is one of those brands that I deem “nice to have” because of the price of the products. I believe that they have good quality products, but it really is a little steeply priced for me. This Elite Box has one of their brushes! 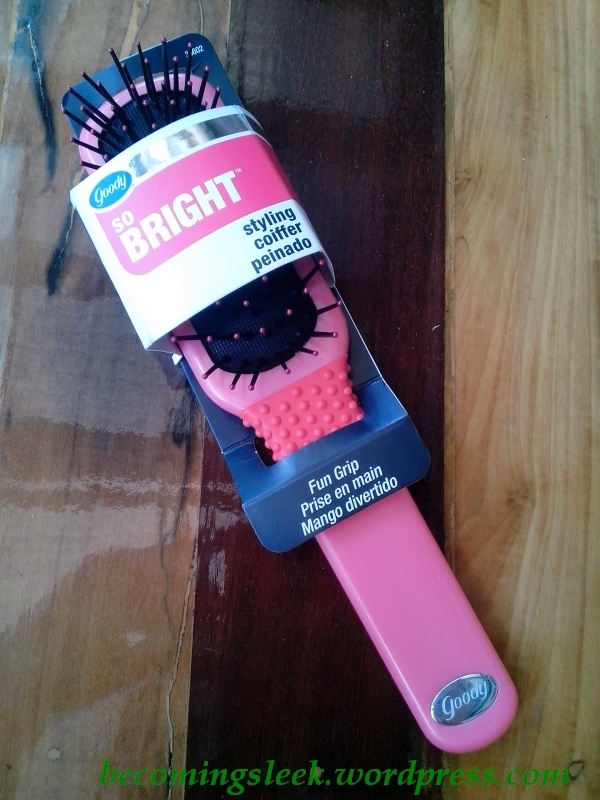 It’s just a standard hair brush (good quality though!) but it already costs Php399.75. I have made a preliminary test of this and I love how it feels on my scalp. I got the pink version which is my second-favorite color. 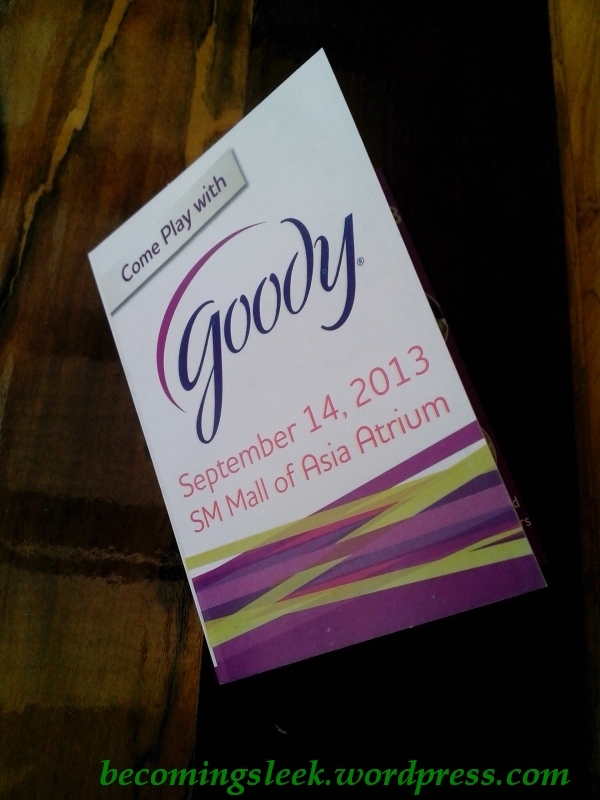 I don’t have information on Goody’s stance on animal testing. 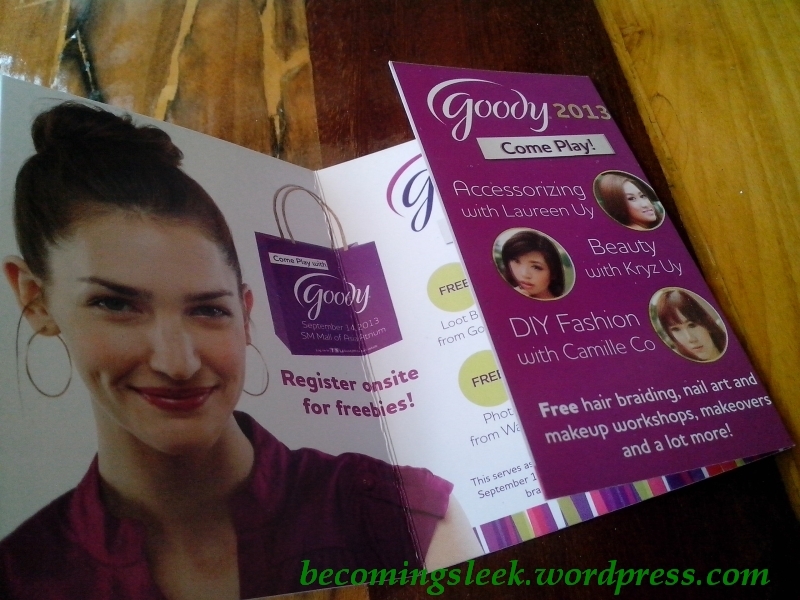 This would have been higher on the list, had I not just acquired the Lucido-L Hair Treatment from the SM Beauty Box. 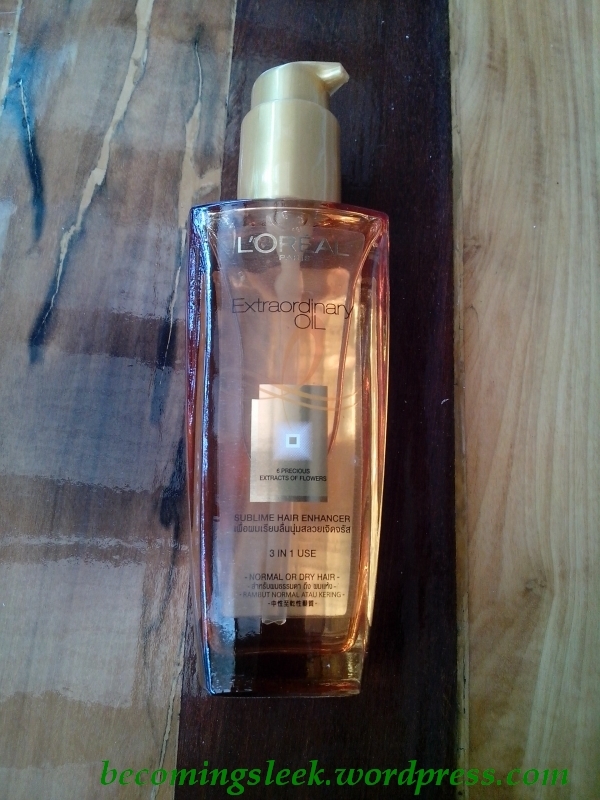 I am starting to be a fan of hair oils and this bottle seems really luxurious. Perhaps the heavy glass bottle (breakable!) and the gold sheen just screams luxury, but I’m definitely hoping this is a performer. This 100ml bottle costs Php499. L’Oreal is not cruelty-free. Now this would have been lower on the list, except I’m actually out for a replacement for my everyday fragrance (I ran out of my FCUK body spray). BDJ gives you the choice of the four variants of this fragrance, and I chose RL Yellow (pear and mimosa). It turns out to be a roll on fragrance which is a first for me. I love how this smells so far. 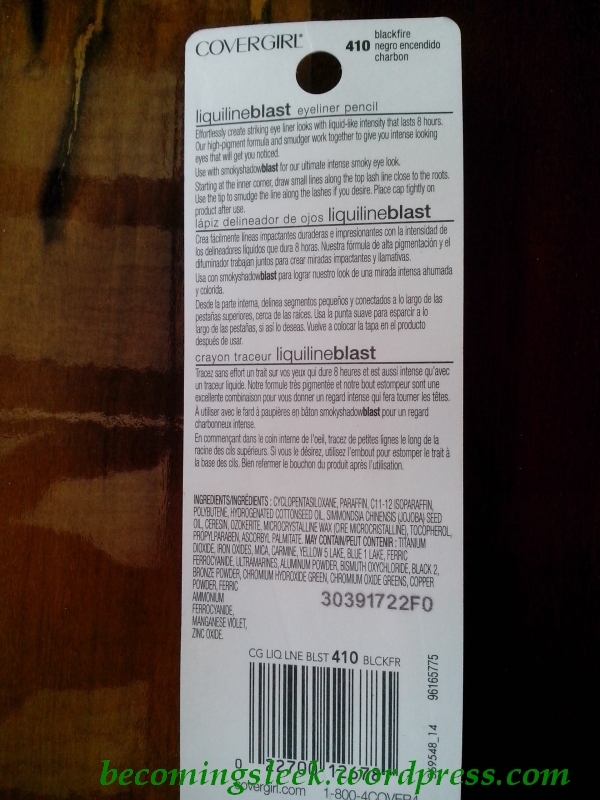 This 10ml roll on tube costs Php750. RL is not cruelty-free. This is low on the list because I don’t really need a new makeup remover (I’m already contented with my current combo of Bifesta Cleansing Lotion and Celeteque Cleansing Oil). 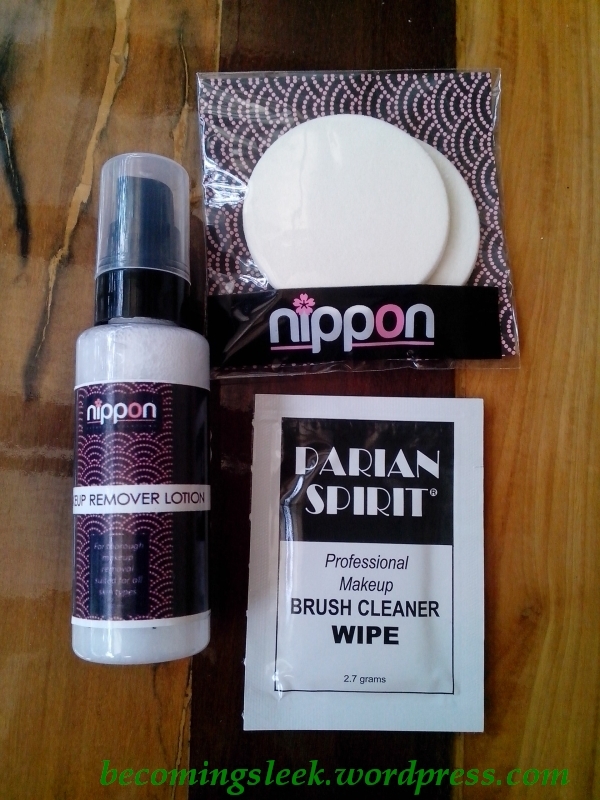 What I’m interested in is the Parian Wipe, which is a brush cleaner. The round sponges are a bonus and will definitely be used in the future. The total cost of this kit is Php410. I don’t have information on Nippon Esthetics’ stance on animal testing. The reason that this is last on the list is called Eye of Horus Eyeliner. 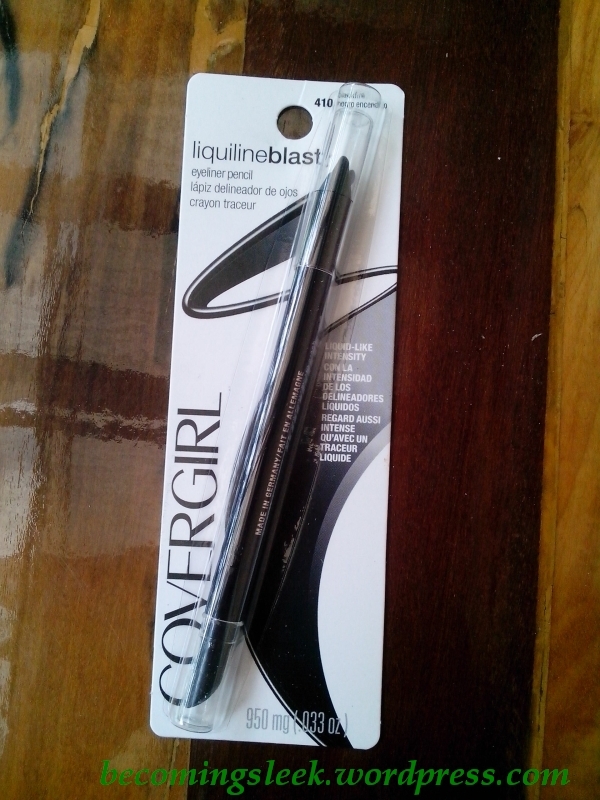 This Covergirl eyeliner basically has the same function as the EoH one and I’m not even using that often. This one costs Php450. I don’t have information on Covergirl’s stance on animal testing. Update: Covergirl is not cruelty-free. This would actually be #3 on the list since I would really want to go to this event! 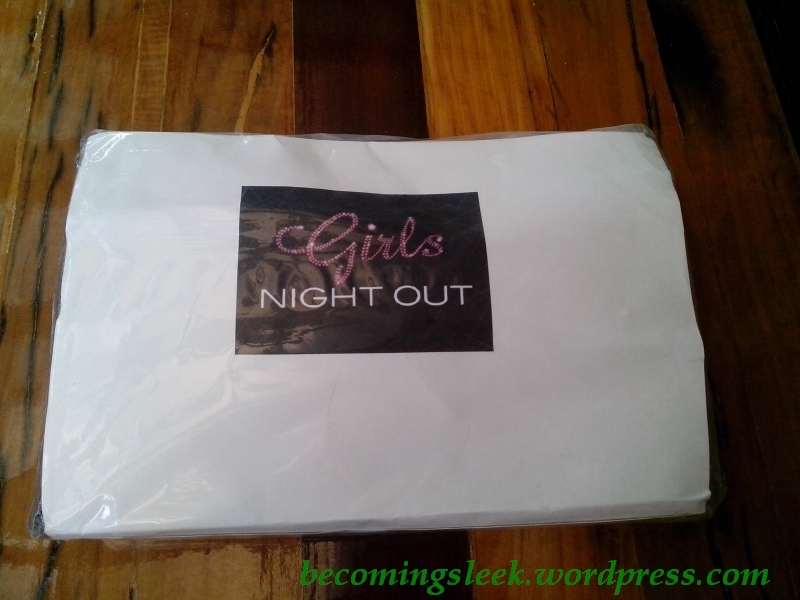 My impressions of the Girls Night Out Elite Box: I love that almost all the items in this box is full sized. Only the Benefit eye cream and the brush wipes and sponges are the sample sized ones. 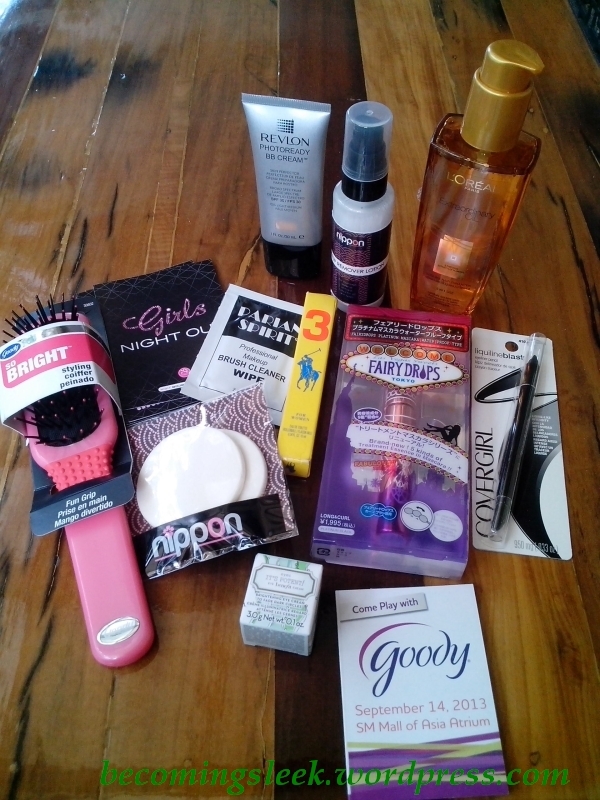 It also seems that the products really do tie in with the overall theme of the box (Girls Night Out) and I can see myself really using almost all of the products in that respect. 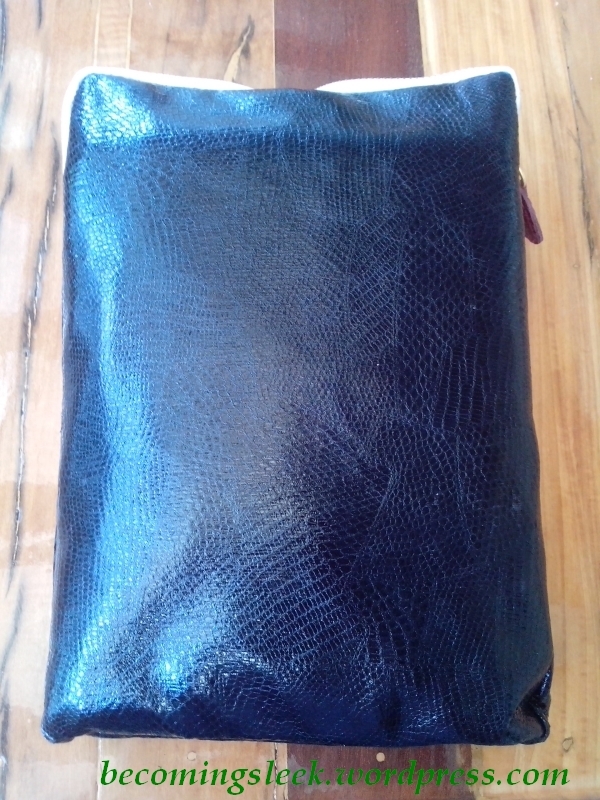 I love the pouch as well and would not scoff at using it as my clutch for an event. Value review: The total value of the box is around Php4700, which is around 3 times the cost of the subscription (Php1680). Most of the value is in the first three items, which I would have paid to buy. All the other items can be considered free, and is definitely such a great value. To be honest the Covergirl eyeliner is the only one I didn’t want to get from this. And I get a nice pouch too! I’d say this Elite Box is a great buy. Hi Pat! This is a great box, enjoy your goodies! 🙂 Unfortunately, Benefit is not cruelty-free. They say they don’t test finished products on animals, but they don’t rule out chemicals and ingredients. Covergirl is also not cruelty-free. 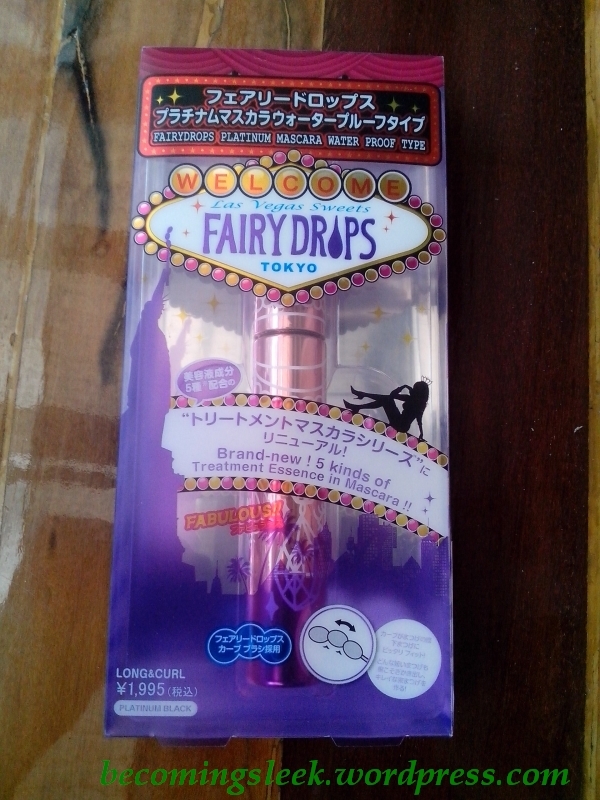 I think Fairydrops MIGHT be cruelty-free, since they are in Beauty Bar and that place carries MOSTLY CF brands, but I’m still double-checking! Hi Carina! Thanks for the clarifications, I’ll update the post. It’s really sad that these brands are non CF. 🙁 Thanks for dropping by!